Telangana Inter 1st Year Results 2019 : TS Intermediate First Year Public Exam Results for the year 2019 are released 18th April at manabadi.com. It is a very good News to all the candidates who had written the TG intermediate 1st year exams, and who are eagerly waiting to know their result. Board of Intermediate Education, Telangana has successfully conducted the Intermediate First year Public Examinations were held in the month of March 2019. A huge number of candidates who are studying 11th standard in TS appeared for the examination which was held at various examination centers. All the candidates who had written the TS intermediate 1st year exams, are eagerly waiting for know their result. 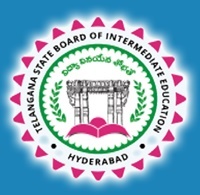 BIE Telangana will be declared the TS junior inter Result 2019 in the month of April. Easily see Telangana Intermediate results 2019 through online. Now the students all are waiting to see the results of Telangana Inter First Year. And there is good news that the upcoming news said that BIE suggested that telangana inter 1st year results 2019 will be soon declared on time, and it is based on the basic schedule of the board. And it must be noticed that the results are declared in the April month. And the board has officially announced that the students can easily check their results from this page. Students can have this page as their bookmark so that they can visit the page whenever they want and they can be updated with the latest news which is related to the ts intermediate first year results. Each and every year more than Lakhs of students are taking part in the examination for the Intermediate First Year Telangana. In the year 2016 the total number of students takes part in the Intermediate First Year TS exam is 4,66,448 and from these students 55.60% of students have the ability to all clear the exam with best marks. When it is said in the ratio of gender the girls are at the top most places when compared to the boys. Girls passed with the percentage of 61.60% whereas boys with 49.60%. And in the year 2019 the board is expecting to increase the number compare to last year. TS Intermediate 1st Year Result March 2019 Date? According to the most recent news from BIE, Telangana, that telangana jr inter results 2019 are going to be declared presently, in line with the annual tutorial schedule of the board. The news has place smiles on the faces of thousands of scholars, who are thirstily awaiting the declaration of TS repose 1st Year Result 2019. The most recent BIE notification puts the expected date of result declaration within the month of April and presumably the results can initiate within the last week of the month. In 2016, the TS repose first Result was declared by the BIE on 27 April. Students, who want to check their results first, can visit http://manabadi.com/telangana. However, within the official web site previously have lots of problems in many technical issues and glitches that create result checking a cumbersome method for the scholars. The superfluous delay additionally heightens anxiety and grief for the scholars, who are uneasily awaiting the declaration of TS BIEP repose first Year Results 2019. To avoid such issues, students will marker this page and visit it on the day of result declaration to urge their result terribly simply. The result provided on our web site is provided by the BIE and, therefore, are utterly authentic and official. Students are suggested to stay all the mandatory data like name, roll variety, date of birth, mobile variety, e-mail id and placement prepared, so as to be the primary ones to access their Telangana Result 2019. Aama ki chut teri result ka sahi date fix karr na, kaiku chenal ko ke harkatha karra..
Sir, plz give exact date of results. So that we can plan our future for further.